I had an incredibly humbling experience last week that I feel is important to share as an aviator where it is vital that we share our experiences that others may learn. I really need to get back to writing these posts because I have seen great value in sharing my experiences, or if nothing else just in writing them out for my own analysis and benefit. First let me set the stage for what happened. In flying the C-130 we have essentially two types of missions that we perform, airland flying and tactical flying. Airland would be something similar to flying on an airline where we fly longer legs into various different airports transporting personnel and cargo. 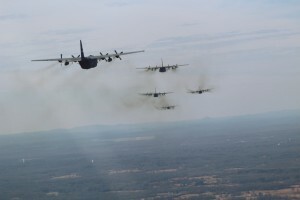 Tactical flying is what makes us more unique; flying at low altitudes, in formation, and performing airdrops. As you might imagine tactical flying is more challenging and requires more work from everyone on the crew before, and during, the flight. Before last week I had not been on a tactical mission in about three months, and had not personally been in the seat for one in more like five months (I had been at instructor school for two months where I was watching students rather than actually performing tasks). I had only had one airland flight during that time which had actually gone really well so I felt pretty confident going into my flight last week. I had also briefed for two other tactical flights the week before so I was starting to get some idea of what to expect on my flight, or at least I thought I was. A couple of other variables that I also feel are important to mention are that this was my first flight in the local area in Japan, my instructor had not flown in about a month, the copilot is also new to the local area having had only a handful of flights, the pilot had just been returned to flying status after a significant break, and she was getting a no-notice checkride from none other than our commander. A no-notice is jut what it sounds like; you show up to fly and when you sign in you find out that you will be getting evaluated on the flight. It tends to add a certain level of stress. On top of all of this we had a pretty complex mission profile because we were trying to drop at two different drop zones with a potential to fly up to six different routes, none of which I had ever flown. The mission commander would also not be part of the majority of the tactical portion of the mission due to some weird scheduling that required him to support a checkride. There were actually a total of 4 checkrides being performed on the three planes in the formation. Now that you have endured the setup, let me explain what happened. In short, I had the worst flight I have ever had. I was slow in my callouts. I completely forgot certain procedures. If I’m being totally honest there were multiple times I kind of zoned out and was overwhelmed. Just to be very clear, we were never in an unsafe position, and no rules were broken. I simply was a useless crew member for much of the flight. 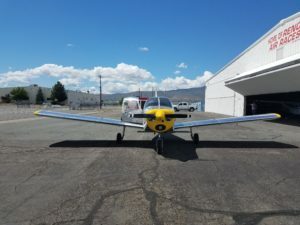 I have known the pilot for a few years now and she said it wasn’t that bad so I am sure a lot of my disappointment and frustration came from my own personal standards of performance. It can be incredibly difficult to try to do a task that you have done hundreds of times, but not remember how to do it, or at least not do it as well as you know you are capable of performing. My last flights had been at instructor school where I was critiquing role-playing instructors and had been deemed worthy to not only perform these tasks, but to INSTRUCT them, and now I couldn’t even do it myself. It was probably the worst I have ever felt after a flight. It is amazing how quickly you lose abilities when you do not use them. I could go through the procedures in my head just fine but in the plane I struggled to keep up. It seriously made me question my abilities and whether or not I even enjoyed what I do anymore. If this was the end of the story I would apologize for being so depressing, but fortunately there is a good ending. I flew again last night and it was dramatically better. Interestingly, I had an instructor that has a reputation for being really tough, which intimidated me a little bit, but maybe that was exactly the challenge that I needed. I was engaged for the entire flight and knew exactly what was happening the entire time. My situational awareness was so much greater in providing useful inputs to the crew and what was going on during the mission as a whole. I was still a little slow with some things, but everything happened in time to get the mission done. I was once again a useful crew member and it reminded me of exactly why I love what I do. I still have plenty to work on, as all aviators must continually work at honing our craft, but it was so refreshing to get closer to the level at which I was used to performing. 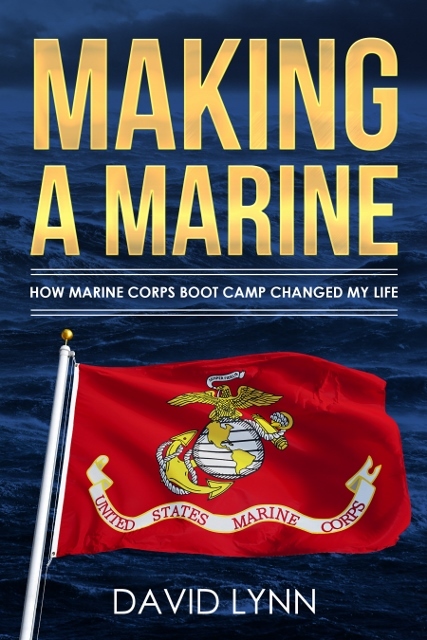 I don’t know that I can convey all of the lessons that I learned from this experience, but there are a few very clear lessons worth mentioning. The first lesson is that you are bound to lose abilities that you don’t use. We all have reasons that we are kept away from flying, or any other activity that we perform, and when that happens we will inevitably lose some of our ability to perform that task. It is important to keep that in mind when we try to perform that task again so that we don’t overextend ourselves and end up in a dangerous situation. In tandem with that understanding is not being intimidated to go back to something we love just because it has been a long time. Maybe life has prevented you from flying for a long time so you are scared to get back up in the air, but there is no reason to be scared. Book a refresher lesson or two with a good instructor and before you know it you will be on your way to rebuilding those good habit patterns and enjoying the wonder that is aviation. I was amazed at how quickly it all started to come back to me last night as I built upon each task that I performed correctly. Flying is just like many other activities in that it takes a lot of practice to become good at it, and in reality you never stop learning because literally every situation is unique. Taking breaks is just part of life and in some instances can actually be good for recharging your batteries and helping you to remember how much you love something. Just understand what your limits are and don’t be discouraged when it takes some time to get back into your groove. As I have said many times before, don’t be afraid to ask for help either. There may not be a better group of people than flyers when it comes to helping fellow flyers. It is a passion that cannot be easily explained to others, but for those who have it no words are needed to understand each other. There was much anticipation for me before we took the runway. Especially because lead had a maintenance issue. It’s been awhile since I did one of these posts, and it certainly isn’t for a lack of learning, but quite the opposite actually. I’ve actually been a little overwhelmed recently with how much I have learned but I finally have a minute to put some of those thoughts to paper, or keyboard I guess. The biggest learning that I have done recently took place just after the new year and involved planning and executing an 8-ship formation flight for my squadron. We ended up with only six planes in the formation because of some maintenance issues, but it was an awesome experience nonetheless. The maintainers actually deserve a huge amount of credit for getting that many flying considering what they had to do to make it happen. There is just something about having this much airpower on one runway that gets me excited. I found out about this mission about a month before it was scheduled to take place and got some preliminary planning done before we all left for Christmas. To the surprise of no one that has served in the Air Force, when we came back from the break, the powers that be changed our plan completely which meant we had a week to put the new plan in place. I say we because I received a ton of vital help from about a half dozen people who provided guidance and expertise for something that I had never done. It never would have happened if it weren’t for their help. That week of planning was probably the most learning I have done in my relatively short career and I am so grateful for it. With that being said I can’t really describe those lessons I learned because I don’t know how without spending the week that I put into it, besides, it is the flight that is the interesting part for most of you. Because we don’t fly with this many planes together very often anymore it took a little work for all of the pilots to get back into the groove of flying with so many planes. It is not just a matter of putting six planes close to each other, as you have to deal with the turbulence created by the plans in front of you as well as the accordion effect that takes place when you put any large number of moving objects together. The closer you are to the back of the formation, the more challenging it becomes. As you can see from some of these pictures it can be really challenging to stay in position in these conditions. I give all the credit in the world to the pilots, and mine in particular, because they were working hard to stay in formation and keep it tight. Being in the number five aircraft we had a great view of the formation and it was awesome to watch the ordered chaos come together almost perfectly as we recovered over the airfield. …But it’s pretty sweet once everyone slides into place. 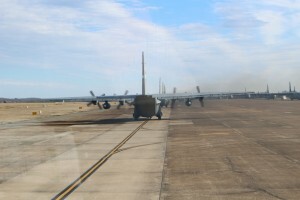 For the second half of the flight we actually planned to split the formation in two with a rendezvous about forty minutes later to bring us back together for the second airdrop. 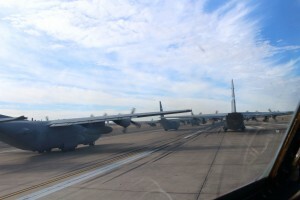 As the person who had spent 40+ hours planning this thing down to the minute, and reassuring everyone else that it would work, I can’t really explain how excited I was when we reached the rendezvous point and I was able to look out the pilot’s window and see four other C-130s trucking towards us. My pilot banked the plane up to turn towards them pointing the plane right at the last aircraft in their formation. Then about a minute later he banked it back up the other direction and we were back together as a complete formation. With all of the work it took to get there, it was incredibly fulfilling to see it come together so smoothly. As I said before, there were really way too many lessons that I learned in the planning stage to try and cram them into one post, and most of them would make no sense without being there to experience it. But, there are still a handful of lessons that came from the flying that can be applied to lots of different types of flying. It was a huge relief once the flight was over and everyone taxied safely back to parking. First is having faith in the people you fly with. Whether they are sitting in the seat next to you or five planes away in the back of the formation, there is an incredible amount of trust we put in people we fly with. 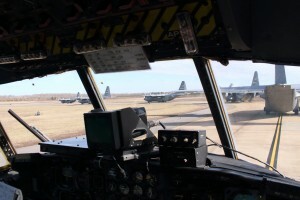 In the 600+ hours I have in the C-130 I have never once been at the controls, though I do get to steer the plane through the autopilot sometimes, which means that every time I step onto the flight deck I am literally placing my life in the hands of the two pilots at the controls. On this particular flight I could not have asked for a better pilot. Second is the saying, “if you don’t use it you lose it”. 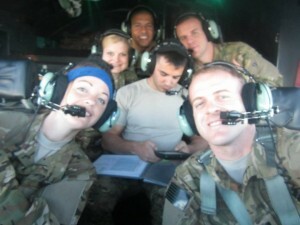 As I mentioned previously, I regularly fly with some incredible pilots. They have flown me into different countries, through mountain valleys, and into dirt landing zones, but even the best pilot loses a little bit when they don’t do something often. This was apparent during the first part of the flight, but it was equally important to me to see how quickly their proficiency of flying in a larger formation came back. So for all of you pilots out there make sure that you are challenging yourself and forcing yourself to do things you don’t do often so that you can remain proficient. For those of you thinking that formation flying is just for military planes, you couldn’t be more wrong. It takes a matter of seconds to find videos of civilian formation flights on YouTube. There is even a group of Bonanzas that fly in formation to EAA Airventure at OshKosh together. If you are looking for something that is incredibly fun, and challenging, then I highly recommend a formation flight. Make sure that you put in the proper planning though because it is not something to be taken lightly. To take a look at more of the pictures from the fun we had head over to my friend’s Flickr page. 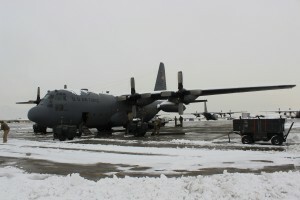 The C-130H generally flies with a crew of two pilots, a navigator, engineer, and two loadmasters. I have been actively flying in the Air Force for only a little over three years which makes me pretty much a baby in so many ways. For that reason I have decided I need to start analyzing the things that happen on my flights and ensure that I am taking advantage of every opportunity I have to learn. The reason I am writing these lessons here is that I am hoping to get feedback from others on lessons they may have learned in similar situations or maybe even totally different ones. I have always thought that part of being an aviator is sharing thoughts and ideas to make us all better. Conveniently, I had a good learning experience just last night to share. 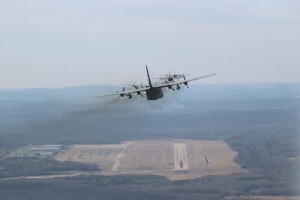 So as the navigator on the C-130 it is my responsibility to ensure that the pilots take us to the right spot for us to kick a load out the back and fall where I want it on a drop zone. In the real world this could be anything from heavy vehicles, people, ammunition, water, food, to pretty much anything that a warrior on the ground could need. As you might imagine, it is critical that the load falls where it is needed so that it can be quickly retrieved and minimize the amount of time that the people on the ground are in danger. While there are certain aspects of the process that are somewhat scientific, a lot of it is based on the experience and expertise of the navigator directing the plane where it needs to be at the right time. With all of that being said, the C-130 is a crew aircraft and it takes all of us working together to get that load where it needs to be. On a crew of 6 we had two females. We need more of that. So last night we executed a quality route to an airdrop which led to me calling for the drop at just the right time at which point the co-pilot is supposed to flip two switches, releasing the load so that it lands right on the desired point of impact in the center of the drop zone. What actually happened was that the co-pilot flipped one switch and the load didn’t immediately go out. As I said before though, I am on a crew aircraft, and the loadmaster did her job and released the load, albeit about 1.5 seconds later. That may not seem like much, but when we received our score it was 150 yards past the point of impact. That means that in a real-world situation the people on the ground would have had to travel about a football field and a half to get their supplies while possibly under fire from the enemy. I think it’s pretty obvious to see why that is not ideal. As with any time that I don’t get the score I am looking for (perfection) I began to analyze what had happened to correct it for the next drop. Did the winds change? Was the plane not in position? Did I make the call late? It could be any number of reasons, but in the end I am trying to learn and I really couldn’t come up with anything other than maybe I just called it a couple of seconds late. So that was the adjustment I decided to make. Unfortunately, neither the co-pilot nor the load master had told me what had happened so when the next drop came around I ended up dropping almost the same distance from the point of impact, but short instead of long. It wasn’t until we landed an hour later that I found out what had happened, and it all came together in my mind. 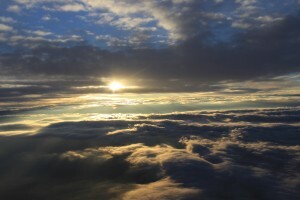 Part of flying is enjoying the scenery, which you can’t do if you aren’t being precise. So there are really two lessons that came from this experience, one of which I didn’t even think of until I started writing so I guess this whole idea is working for me. The first lesson is something I have already written about in the past, crew resource management (CRM). We talk about CRM before every single flight and this just reinforced to me how essential it is at all times. The second lesson is how important it is to be precise at all times when flying. In this situation it could mean a really long run for needed supplies. During takeoff it could mean hitting a fence or tree because you didn’t climb fast enough. On landing, it could mean you don’t quite make it to the runway which could have terrible results. The point is not to scare anyone, but to re-emphasize how important it is to be precise in everything that you do as a flyer. 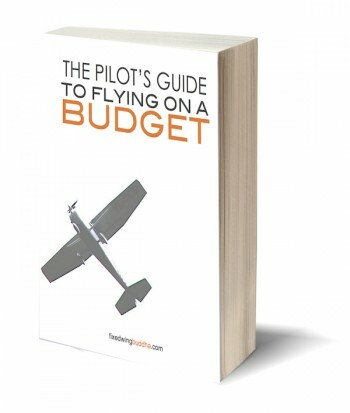 Don’t accept short cuts or a lack of precision from the people you fly with. Set standards for yourself and when you don’t meet them analyze how you could have done better. Ask for feedback from other people you fly with and apply it. Being a true aviator means you never stop learning, and always work at improving yourself.